Even with 8 days to celebrate, it’s easy to let Passover pass by without sending flowers to help set the Sedar table, but there is still time this year to pick the perfect centerpiece filled with flowers, plants and foliage typically used to celebrate Pesach. 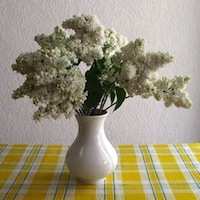 For a holiday that is focused around the table, a long, low arrangement filled with bright blooms, bitter herbs and your heartfelt sentiment is the best way to celebrate a high holiday if you can’t make the pilgrimage home. Centerpieces bring a bit of nature to table and will add a bit of elegance and grace to a table already set with ritual and tradition. A good centerpiece will be short enough for guests to talk over and have flowers and foliage that will last the week long. Below are some ideas for adding to a centerpiece arrangement that are copacetic (if not entirely kosher:) for Passover. 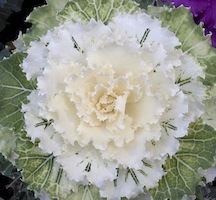 Trendy and chic, the colorful rosettes of ornamental cabbage (sometimes called flowering kale) come in short stems that are easy and interesting to slip into a centerpiece arrangements. The whirled leaves come in green and reds, white and purples and have foliage that rival the prettiest petals of a rose. Short but wide, these hardy “blooms” will last longer than most flowers and can be more than 3-5 inches across, making them an excellent focal point in any arrangement. Better still, this bitter herb is rich with symbolism in the exodus story of Passover and can represent that mitzvah on the sedar plate. Said to symbolize devotion and happiness, this large springtime bloom will be at the peak of its season around Passover and will add a rich color and soft texture to any arrangement. With a soft fragrance that will fill the newly-cleaned house with a breath of spring, these flowers look terrific by themselves or mixed in with roses or lilies. The sanguine shade of a peony’s petals can also be symbolic of the lamb’s blood on the doorpost that is an integral part of the liberation this holiday is meant to reflect upon. Hardy and available in white, red, yellow and now striped colors, carnations are a great addition to the flowering cabbage and red peonies and will hold up well for several weeks if you add water to the arrangement. 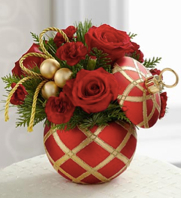 Readily available at florists, consider adding them to a centerpiece with a few springs of myrtle branches. While myrtle is one of the four sacred plants typically seen at Sukkot, its fresh fragrance will add a special something to the Sedar table this year.